We are very excited to announce the newest addition to our stable, a 2YO colt by perennial top-10 sire, Malibu Moon. He is by the stakes winning and stakes producing Menifee mare, Wow Me Free. The colt was a $150,000 purchase at the Fasig-Tipton Midlantic 2YO in Training Sale earlier this afternoon. The colt was highly rated by the DataTrack Sales Analysis following his breeze last Tuesday. He went 1/4 mile in 22.4 seconds which tied for the second fastest quarter-mile work of any colt on that day. His stride length was a very impressive 26.57 feet, which was the longest of any working that day. It was 2.61 feet longer than the average stride length at that distance. Malibu Moon is the sire of 7 millionaires including Orb, Magnum Moon, Stanford, Life At Ten and Gormley. Wow Me Free won a pair of stakes races including the G3 Next Move H. She won races from 2 to 4 and amassed more than $215,000 in earnings. She has produced five other foals including the grade stakes placed Treasury Bill. The colt is bred on the same cross as J Boys Echo. 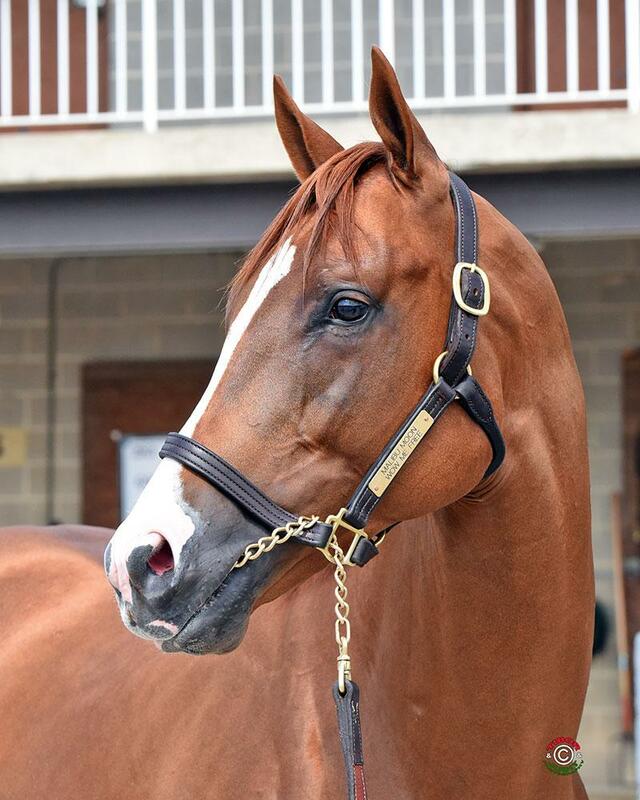 The colt will leave the sales grounds tomorrow and head directly to Steve Margolis’ barn at Churchill Downs. While he is going straight to Steve, we don’t expect him to be making his debut before the distances start increasing later in the summer. He is, without a doubt, a two-turn route of ground type and these early races won’t suit him. All expenses are covered through September.